Fox’s second reboot of Fantastic Four – with an all new cast, look, and feel of the characters – didn’t go as planned. The 2015 movie was tagged worst of the franchise, as the movie had a lot of production troubles and the version that ultimately hit theaters was essentially dead on arrival. The film was ridiculed and clobbered by fans and critics alike, who were utterly disappointed with the movie. Jamie Bell, who played The Thing in the reboot, admits that he too was disappointed by the quality of the film. Fantastic Four was meant to start a new superhero franchise for Fox, like Deadpool did, but it instead, had to go back to the drawing board. Obviously when an actor signs on for a project, they have little idea how it will be received upon completion. Jamie Bell told the Los Angeles Times that he had hoped for better things from Fantastic Four. Nobody sets out to make a bad movie, and while Bell admires what they had tried to do with Fantastic Four, somewhere along the way things became muddled. 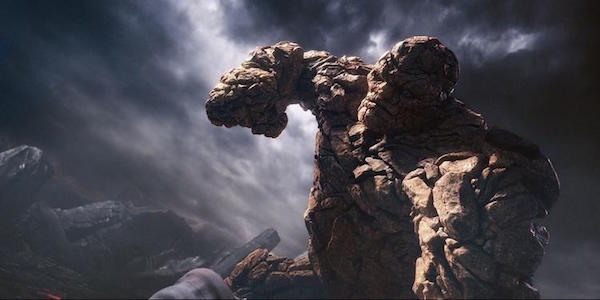 Fox’s rights for the Fantastic Four were close to going back to Marvel if they did not make another film with the property soon, which led to the fast tracked reboot. The movie went through heavily publicized reshoots, with rumors circulating about behind-the-scenes drama and quarrels between Josh Trank and the higher brass. Ultimately, Trank hammered the final nail himself with a tweet essentially denouncing the movie the night before it released. Fox clearly has a lot to learn to make a movie about the oldest team in Marvel comics work.